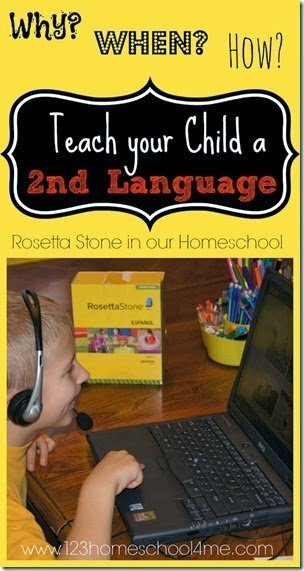 Are you teaching a 2nd language in your homeschool? As someone who grew up bilingual let me tell you – you should be teaching your kids a 2nd language and you should do it while they are young. Children will catch on easier, develop a better accent, and will resist the new language less when you start them off from a young age. The best approach to learning a new language is immersion, but if you are not a native speaker that can pose a problem. 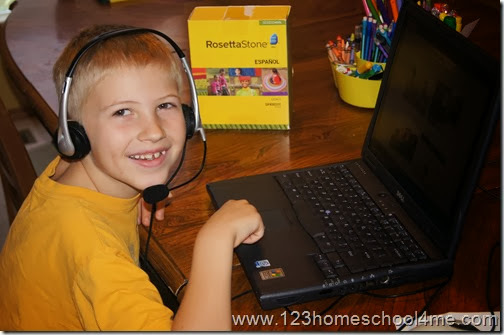 I highly recommend Rosetta Stone which is an easy to use immersion software that will successful teach your child a 2nd language. 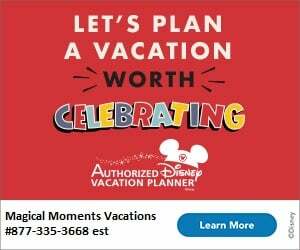 This is NOT a sponsored post! We just love Rosetta stone so much we wanted to share =) The links are affiliate links. You will still get Amazon’s lowest prices, but we get a finders fee. Thank you for supporting our blog with your purchase! Why Should your Child Learn a 2nd Language? When should your child learn a 2nd language? Exposing your child to a variety of speech patterns and sounds from infancy will help them learn other language later on – it helps the child form brain connections that he can use later in life. Children learn most naturally when they can learn by immersion, the way you and I learned our primary language. I learned English because it was what was spoken in the home when I was young. To understand and be understood I needed to learn English. Children are remarkable learners! Think of how a child learns to crawl, walk, run, jump, speak, write, and more in just the first 5 years of life. If you are not able to personally immerse your child in a 2nd language, I recommend beginning a structured 2nd language program around Kindergarten – 2nd grade. Starting earlier is better for developing a good accent and there will be less barriers to the new language, but if you are unable to be consistent than much of your progress will be wasted. Waiting too long (by about 12 when they enter puberty) will lead to your child not mastering the native accent and having difficulty assimilating the new language. How should I teach my child a 2nd Language? As discussed above, the way we learn language naturally is by immersion. That means that it is the language all around you – you have no choice but to learn it if you want to understand others and communicate. Assuming you are not a native speaker and cannot personally teach your children, I highly recommend Rosetta Stone. Rosetta Stone is the only program I’ve found that successfully mimics complete immersion to help individuals learn a new language naturally and easily from the comfort of their own home. Both my Kindergartner and 2nd Grader have been using Rosetta Stone successfully this year. The homeschool edition allows you to have multiple users. Students can independently sign in and begin their lesson – it is a very easy to use program. The lessons progress thoughtfully, making sure your child can not only understand what is being said, but by making sure they can speak it as well. The homeschool edition comes with a speaker headset. If your student doesn’t say the phrase correctly they will be prompted to repeat it. They will not be able to continue until they can complete a lesson with a certain degree of accuracy. To assist the learner the phrase is repeated and will even be broken down into syllables if needed. My Kindergartner is working on speaking and understanding only, which is one of the many options you can set for each user. My 2nd graders is able to complete the entire program – written, spoken, reading, and understanding. There are even additional printable worksheets you can use if you want some additional reinforcement. To track my children’s progress I just click on the Homeschool Dashboard. From there I can see the progress, time spent, and make assignments for each of the users. It is a wonderful way to allow the kids to be independent in their schoolwork, but still monitor their success and progress at the same time! My 2nd Grader completed a full year curriculum of Rosetta Stone Spain Spanish Level 1 in just over 15 hours. We can’t wait to start Level 2 and continue making progress! From the time I was 3 I lived in a Spanish speaking country. I learned by immersion and speak Spanish fluently. I intended to teach my children through immersion as well, but my son had some articulation issues early on (now diagnosed as a too small mouth for his tongue). At that point my husband and I decided to halt the 2nd language in an attempt to focus on helping him learn to speak English well. By the time we were finally able to figure out the root of the problem (after talking with speak pathologists, pediatricians, early intervention specialists, and our dentist) he was going into 2nd grade. I knew that he needed to be learning a 2nd language early to master the native accent and I was worried we’d missed the window of opportunity. I literally cringed when I heard the way he pronounced the few words he’d picked up from Dora. Enter Rosetta Stone just 5 months ago. 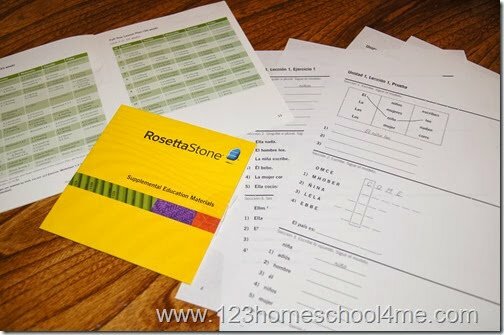 So if you are looking to include a 2nd Language in your Homeschool (which you should) I highly recommend Rosetta Stone. Our family is just one of countless other Rosetta Stone success stories. I recommend buying Rosetta Stone here. Read a little more about why we home school here.